The Eccleston Square Hotel in London’s Pimlico joins the long list of luxury properties opening in the capital this year. The hotel will offer 40 rooms housed within two Grade II listed buildings. Architecture and design firm Woods Bagot has been tasked with transforming the buildings on Eccleston Square into a luxury boutique hotel with “the most advanced in-room technology to be found in the capital”. The property will feature a Media Lounge, and two reception rooms “serving food and beverages in a ‘stately’ setting”. Rob Steul, Principal at Woods Bagot said that the hotel will appreciate “the prominence of its location”, and remain “sympathetic to its historical context”, offering guests “the best in comfort, contemporary design and in- room technology”. There will be a “timeless modern lobby” with a black crystal chandelier and herring bone pattern floor tiles, and in-room facilities will include blue tooth iPod connections, VoIP phones, and 46-inch TVs with 3D Blu-Ray players. Woods Bagot has worked on several other London hotel projects, including Hilton properties The Traflgar and the Courthouse Doubletree. 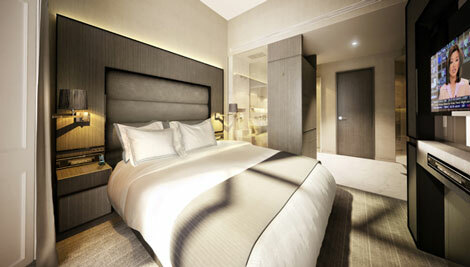 The Eccleston Square Hotel is the latest in a series of London hotel openings and refurbishments. The Four Seasons London at Park Lane is due to reopen on January 31 following an extensive refurb, while W London will open on Leicester Square on February 14. The Corinthia Hotel London is now taking reservations, while the St Pancras Renaissance Hotel London will follow suit on March 14, and the Hyatt Regency London – The Churchill is to undergo a “multi-million-pound” refurbishment of all guestrooms over the next few months. 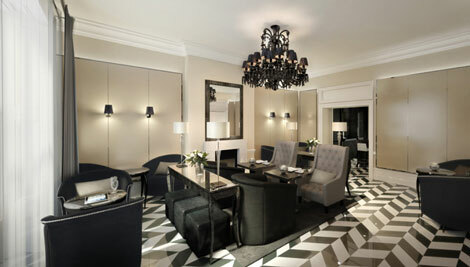 The Eccleston Square Hotel will join the Design Hotels group when it opens – for more information visit designhotels.com.